For the design of indoor and outdoor areas, for decorative embellishments of home and garden, beautiful natural stones are in high demand. 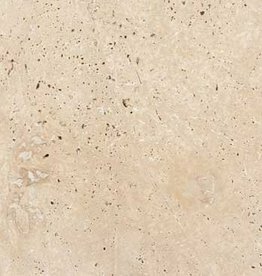 Travertine is a natural stone with very versatile and inimitable designed surfaces. The surfaces reflect the various shades of brown and beige to gray-white. The surfaces have inimitable drawings and grains. On the stone are waves, shades, points, light and dark colorations are emerging. The beauty of travertine has emerged during long geohistorischer processes in the course of many millennia. 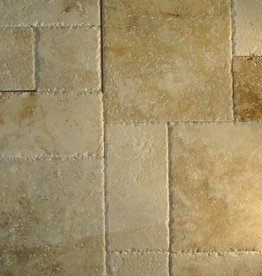 Travertine is a porous limestone, which has evolved in freshwater sources through the aggregation of different mineral components. The limestone, which is also referred to as travertine or tufa, occurs in limited regions. In Germany sites are mainly in the Thuringian Basin, close to the Swabian Alb, found in Braunschweig and in the foothills. The rock travertine occurs in more or less porous forms because the minerals have come together in the water of different densities. Today the stone is traded mostly with open pores, and partly also in verspachtelter form. 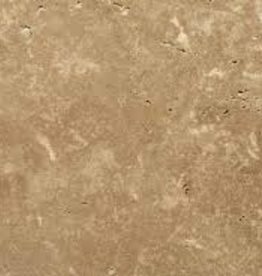 Depending on the purpose, for example, for floor tiles or decorative objects, travertine is offered with various surface structures and different hardness training. Floor tiles and decorative travertine appear warm, alive and give the rooms a Mediterranean flair. The natural stone drawings that make each tile unique, radiate special vibrancy. In tiles Travertine is a particularly high-quality material of incomparable beauty. Processing of light, porous limestone requires special experience in the manufacture of finished products. The surfaces are subjected to a special treatment in order to achieve a high flatness, unity and crush resistance, without changing the natural radiance of the stones is affected. 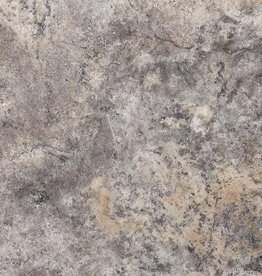 Directly from the manufacturer tiles and other stone elements from the color beautifully veined travertine can however be purchased online at low prices. Ninos Stone & Tile pleased to advise you that!